SUPERIOR QUALITY: Built to last! Our panels are manufactured using pre-compounded resin, delivering a life expectancy of 15-20 years, even through harsh weather conditions. 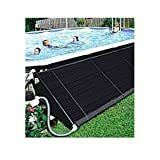 AFFORDABLE & DURABLE: You can now heat your pool and extend your swim season for a fraction of the cost, and because our panels are built so well, these costs will remain low by reducing the need for future maintenance and repair. 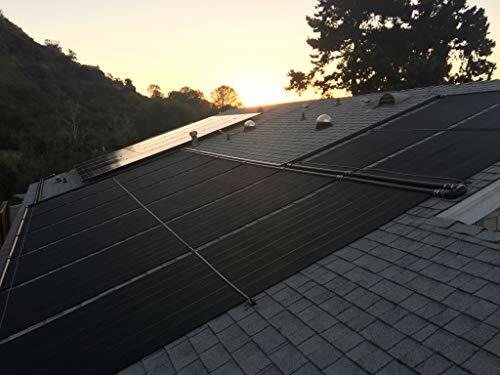 BUY WITH CONFIDENCE: We are so confident in our product that we include each replacement panel with a 5-year full warranty, 10-year limited warranty. TESTED PERFORMANCE: How do we know our panels work so well? They've been tested! Rated at 1,000 BTU per square foot by the Florida Solar Energy Center. UNIVERSAL: Completely interchangeable, works as a direct panel replacement for Aquatherm and FAFCO systems. Minimal Costs: Reduce the annual cost of heating your pool or start heating your pool for a fraction of the cost of gas and electric heaters. Utilizes your existing pump and filtration system. Sit Back & Relax: Enjoy the luxury of a warm pool nearly year-round (6-10 months depending on system size and weather). Minimal Upkeep: Solar heating requires little to no annual maintenance. More Family Fun: Swimming pools are great for adding enjoyment to your home and bringing friends and families together. Great Investment: A solar pool heating system typically pays for itself within 2-7 years. The concept of solar pool heating is pretty simple. Cold water from your pool is circulated through a series of collectors, warmed by the thermal heat of the sun, then circulated back into your pool until the desired temperature is achieved. A control box monitors and regulates this process to maintain the desired temperature. A full diagram is provided in the product images. The first factor to decide is how long you'd like your swim season to be. Typical systems match 80% of pool surface area to equivalent collector square footage, giving you 6 solid months of warm swim time. For those that want a longer swim season, up to 10 months of heated pool water - look to match 100% of pool surface area to solar heating square footage. An example is provided below.